This meeting will take place concurrently at three sites in Region 10 on April 23, 2019: Anchorage, AK, Portland, OR, and Seattle, WA. The purpose of this meeting is to bring together Tribes and Native serving organizations to develop a plan that strengthens community efforts to support tribal adolescent health. This convening will include presentations on key issues facing American Indian/Alaska Native youth with an emphasis on suicide, substance use, and sexually transmitted infections. The meeting will include an overview of the Office of Adolescent Health’s Five Essentials for Healthy Adolescents and a presentation by Dr. Shaquita Bell of Seattle Children’s Hospital and the Chair of the Native American Child Health Committee for the American Academy of Pediatrics. 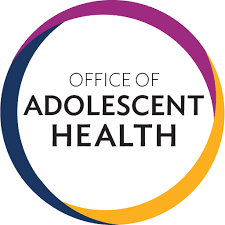 This is a unique opportunity to engage in diverse partnerships and foster collaboration to enhance and coordinate activities related to tribal adolescent health. Stakeholders will be able to identify community protective factors for healthy adolescents. Stakeholders will use American Indian and Alaska Native data to inform the action plans. A resource document will be generated that provides guidance to create a tribal adolescent health action plan. If you have questions please contact Lewissa Swanson at 206.615.2501 or lewissa.swanson@hhs.gov. If you have questions for the Alaska Native Tribal Health Consortium please contact Jennifer Williamson at 907.729.4596 or jjwilliamson@anthc.org. If you have questions for the Northwest Portland Area Indian Health Board please contact Stephanie Craig Rushing at 503.416.3290 or scraig@npaihb.org. 11821 Parklawn Drive, Suite 100, Rockville, MD 20852.